Recently, various departments of Southwind Management and Spinnaker Resorts in Hilton Head were asked to supply “Frequently Asked Questions” they hear from our guests and owners. If you’re a seasoned vacationer with Spinnaker Resorts on Hilton Head, these may already be known to you. But, don’t be surprised if there is at least one new one answered for you! Q: If I bring my boat/trailer, how and where can I store it? Q: Do you have jet skis at Bluewater Resort and Marina? A: No, we do not have jet skis at the Bluewater property. 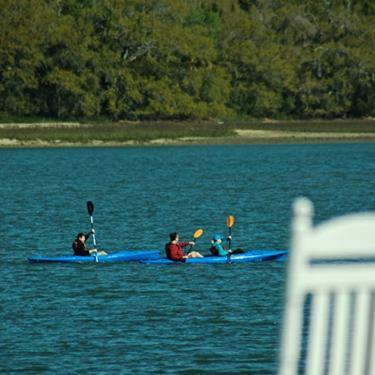 However, we do have kayaks for our guests to use on property. Q: Can I use my toll transponder from upstate for the toll booth? Q: Is there a route that I don’t have to pay the toll? A: Yes, if you take Business 278 instead of the Cross Island Parkway you can bypass the $1.25 charge at the toll. This would only add an additional 5-10 minutes to your drive. Q: Is there any compensation or voucher we can get to pay the toll booth? Q: How many vehicles am I allowed to bring? A: The recommended number of vehicles is 2 for our property, however, if you have additional vehicles you may find additional parking somewhat farther from the unit. Maximum number would be 4 vehicles. Q: What time is check-in? Can I have an early check-in into my unit? A: Check-in time is 4pm and check-out is at 10am. It’s necessary for our Housekeeping and Facilities teams to clean and inspect each and every villa on property prior to our owners and guests checking in to ensure the utmost in quality and care. You may want to plan your arrival for 4pm or further into the evening to avoid any lines at Check-in. You can also call the resort prior to check-in to confirm the size of your villa, access to your villa (stairs or elevator) and location. This may greatly decrease your time at check-in. So why wait in line when you can experience the wonderful attractions, flavorful restaurants or the beautiful scenery? Early check-in is not something we can accommodate. Q: Can I get a wakeup call? A: No, we do not have a wakeup call system and do not provide that service. Q: What kind of fish can I catch off of Bluewater’s dock? Q: Why do we have fishing wire strung along the length of the dock handrail? A: We have a very determined flock of Pelicans who would like to be longstanding guests at Bluewater as well. Unfortunately, they are not the cleanest guests, so we try to gently discourage them from overstaying with us. Q: Do I need a fishing license to fish off the Bluewater dock? 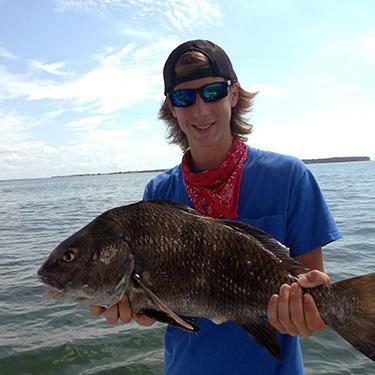 A: We strongly urge guests over the age of 16 to purchase a temporary South Carolina fishing permit, especially if they plan to do any fishing away from our property. You may purchase this simply on your phone or computer by going to Department of Natural Resources and purchasing it online or visiting an area tackle shop. Q: Where do I go to get good shells? 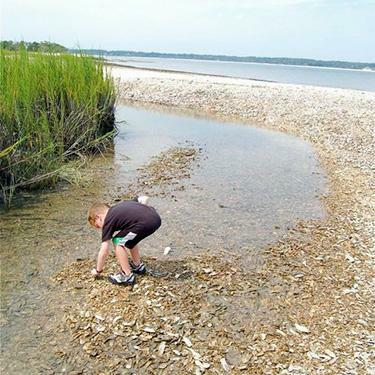 A: Mitchelville Beach Park has a nice assortment of shells, but be prepared for muddy conditions at low tide. Q: What is the one thing on the island I should definitely hit during my visit here? A: Harbour Town Lighthouse and Museum and the Coastal Discovery Museum are both a MUST to get the entire lay of the land and see all the island has to offer. Q: Where can I get discounted golf rates? A: We recommend Golf Now for golf courses off-island and Last Minute Tee Times for golf courses on-island and off-island. Call (843) 689-2262 between 8:00 a.m.-11:00 a.m. for same day tee times and call and between 7:00 p.m.-10pm for next day tee times. Q: Are the alligators aggressive? A: Not by nature but can become aggressive when provoked. Do not feed or harass any alligators that you may see. It’s okay to take pictures but keep at a distance and use your zoom lens. Q: Where are the “locals” restaurants? A: There is no such thing here. Locals and visitors go to the same restaurants. If it’s good, we all go! If it isn’t good, it won’t last long on Hilton Head. Q: Where are some nice public tennis courts? A: There are some between mile markers 6 and 7 at Chaplin Park off Singleton Beach Road. Q: How do I find out about local nightlife? A: Check out Hilton Head Night Out for all of the latest in music and nightlife. Q: What is a good seafood restaurant? A: Black Marlin restaurant in Palmetto Bay Marina has great ambiance, the food is not too pricey and you do not have to get dressed up to go there. Another affordable restaurant is the Sea Shack. It is located on Executive Park Road off Pope Avenue. It has locally caught seafood, made to order at affordable prices. The atmosphere is wooden tables and paper plates. As the owner’s say, it’s not fancy, it’s just good. Q: Are there tours of the island? A: Yes, there is the Gullah Tour that takes you through the area neighborhoods while you learn about this unique American culture. Also, Kelly Tours offers a trolley tour of the island departing from the Coastal Discovery Museum. Check with your Recreation staff for a brochure. Q: How do I get to the beach from Waterside? A: Go out the front door of the Activities Building and turn right. You’ll be on Avocet Road. Take a right on Avocet and continue to the end of the road. It’ll be a slow 8-10 minute walk to the beach. You’ll cross Lagoon Road and North Forest Beach Road. The beach path is between the Sea Crest Condominiums to the right and private property on the left. Once you’re on the beach, there will be a beach marker by the dunes (white sign with red numbers). Our marker number is 61. The marker will be the same for your return back.